Not a bad way to make money, but Elon Musk doesn't approve. Tesla has figured out a way to make money from its rivals thanks to a system in California that nobody (except Tesla) actually likes. 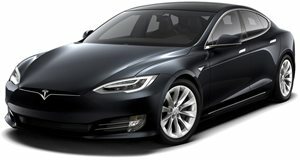 Bloomberg reports that Tesla has earned $1 billion over the past five years from rival automakers by selling its zero-emissions mandates to other automakers. California, for now at least, is the only US state that requires automakers to sell electric and other non-polluting vehicles in proportion to their market share. But what if automakers don’t have enough EVs, hybrids, or plug-ins in their existing lineups to meet these standards? They can buy credits from competitors to make up the difference. Tesla is apparently more than happy to step up to the plate. In 2016, for example, it sold $302.3 million in regulatory credits. Not surprisingly, automakers hate Tesla for this. Not only is it embarrassing, but they are, in effect, helping to finance Tesla and its relentless pursuit of new technologies they don’t have. At the same time, Tesla is receiving tons of positive publicity for literally everything it does. Despite the un-popularity of this program, both China and the EU are considering adapting similar credit systems. Now, here’s the ironic part: Tesla CEO Elon Musk is also critical of California’s system, calling its Air Resources Board "incredibly weak" and its standards as "pathetically low." 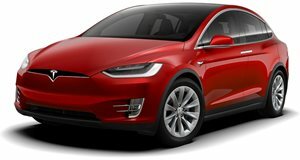 Musk wants rules to be even stricter and for those credits to cost more.